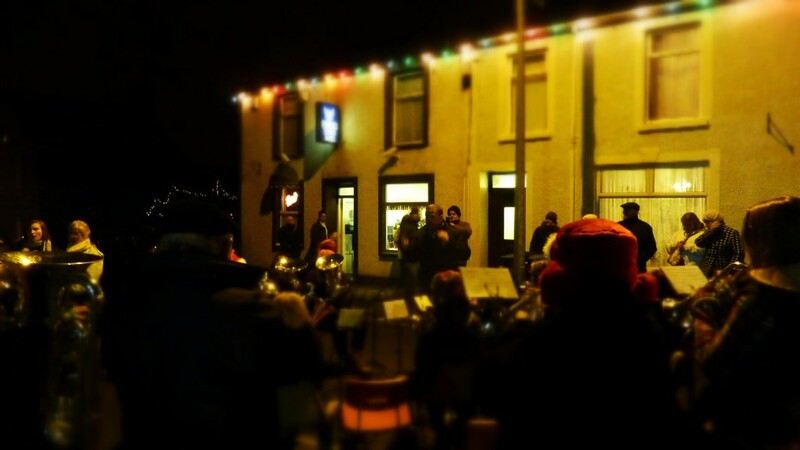 I don’t know if it was the crisp winter evening, the sound of the carol singers and brass band or the smell of freshly cooked burgers but the Christmas Fayre was a great success. We started off by having a look around the village hall, grabbing a cupcake and checking out the craft stalls. Stalls included Usborne Books, Caitiebelle Cakes, Little Gift House and Barrett & Co photographers. We noticed a film crew from S4C, filming for the evening magazine show Heno. The episode ends with a performance by the City of Cardiff (Melingriffith) Brass Band. 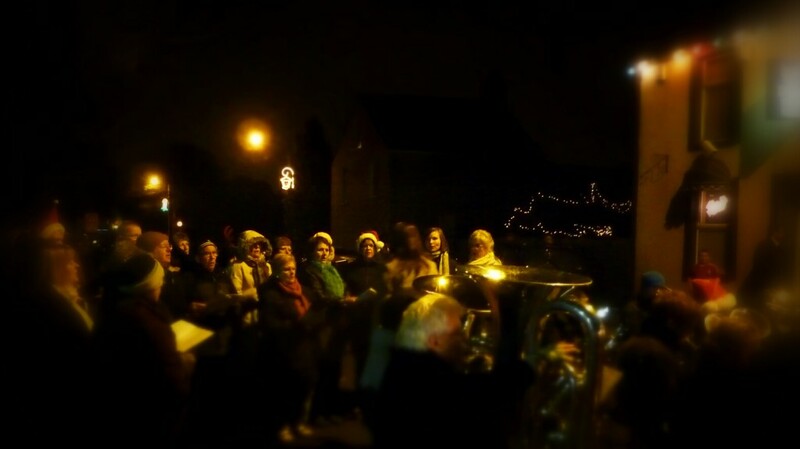 We chatted to friends and neighbours while the kids bounced, slid and span on the rides and enjoyed some more carols. We weren’t able to stay very late but we had a great time and would like to thank the festival committee for organising a fantastic event. Nice article – lovely photos too. Was sorry I missed it.